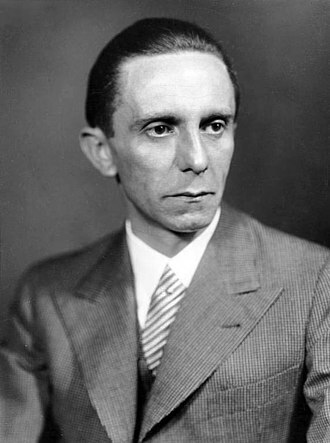 Paul Joseph Goebbels (German: [ˈpaʊ̯l ˈjoːzɛf ˈɡœbl̩s] ( listen); 29 October 1897 – 1 May 1945) was a German Nazi politician and Reich Minister of Propaganda of Nazi Germany from 1933 to 1945. 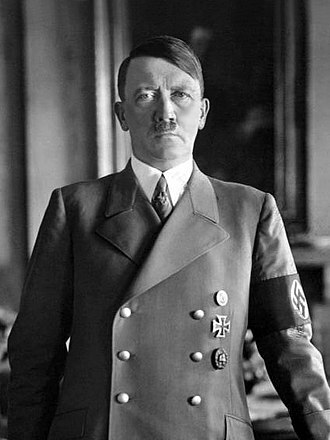 He was one of Adolf Hitler's close associates and most devoted followers, and was known for his skills in public speaking and his deep, virulent antisemitism, which was evident in his publicly voiced views. He advocated progressively harsher discrimination, including the extermination of the Jews in the Holocaust. 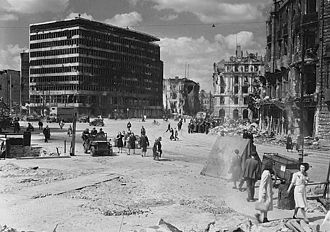 In 1943, Goebbels began to pressure Hitler to introduce measures that would produce total war, including closing businesses not essential to the war effort, conscripting women into the labour force, and enlisting men in previously exempt occupations into the Wehrmacht. 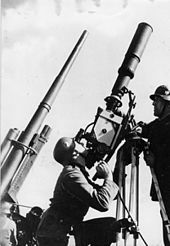 Hitler finally appointed him as Reich Plenipotentiary for Total War on 23 July 1944, whereby Goebbels undertook largely unsuccessful measures to increase the number of people available for armaments production and the Wehrmacht. 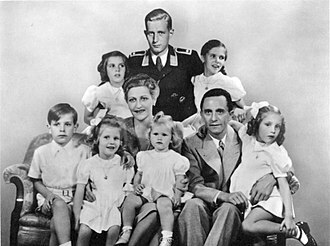 During childhood, Goebbels suffered from ill health, which included a long bout of inflammation of the lungs. He had a deformed right foot that turned inwards, due to a congenital deformity. It was thicker and shorter than his left foot. 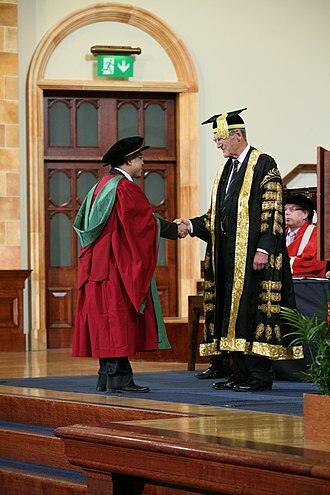 He underwent a failed operation to correct it just prior to starting grammar school. 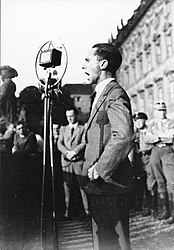 Goebbels wore a metal brace and special shoe because of his shortened leg, and walked with a limp. 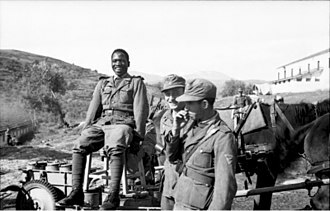 He was rejected for military service in World War I due to his deformity. At the University of Heidelberg, Goebbels wrote his doctoral thesis on Wilhelm von Schütz, a minor 19th century romantic dramatist. He had hoped to write his thesis under the supervision of Friedrich Gundolf, who at that time was a well known literary historian. It did not seem to bother Goebbels that Gundolf was Jewish. 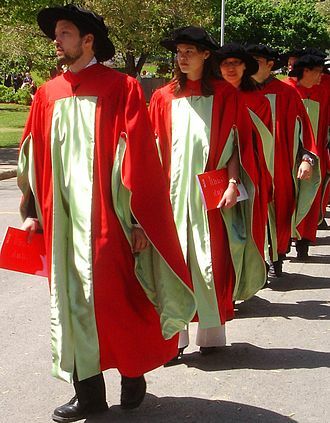 Gundolf was no longer teaching, so directed Goebbels to associate professor Max Freiherr von Waldberg. 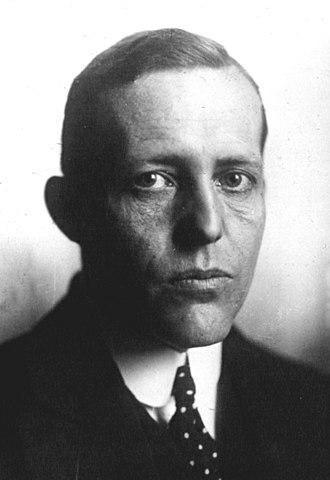 Waldberg, also Jewish, recommended Goebbels write his thesis on Wilhelm von Schütz. 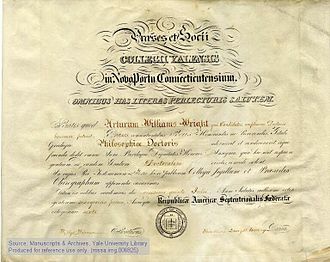 After submitting the thesis and passing his oral examination, Goebbels earned his PhD in 1921. By 1940 he had written 14 books. Goebbels then returned home and worked as a private tutor. 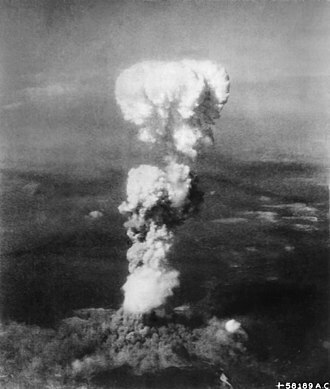 He also found work as a journalist and was published in the local newspaper. His writing during that time reflected his growing antisemitism and dislike for modern culture. In the summer of 1922, he met and began a love affair with Else Janke, a schoolteacher. After she revealed to him that she was half-Jewish, Goebbels stated the "enchantment [was] ruined." Nevertheless, he continued to see her on and off until 1927. He continued for several years to try to become a published author. His diaries, which he began in 1923 and continued for the rest of his life, provided an outlet for his desire to write. 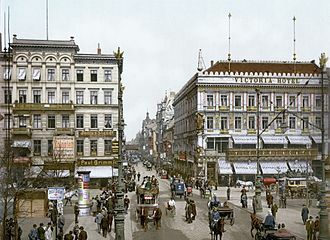 The lack of income from his literary works (he wrote two plays in 1923, neither of which sold) forced him to take jobs as a caller on the stock exchange and as a bank clerk in Cologne, a job he detested. 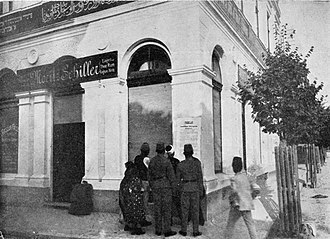 He was dismissed from the bank in August 1923 and returned to Rheydt. During this period, he read avidly and was influenced by the works of Oswald Spengler, Fyodor Dostoyevsky, and Houston Stewart Chamberlain, the British-born German writer whose book The Foundations of the Nineteenth Century (1899) was one of the standard works of the extreme right in Germany. 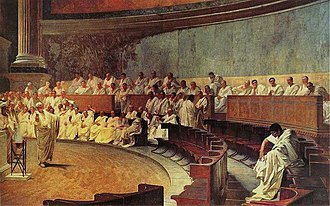 He also began to study the "social question" and read the works of Karl Marx, Friedrich Engels, Rosa Luxemburg, August Bebel and Gustav Noske. 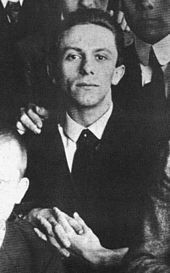 According to German historian Peter Longerich, Goebbels' diary entries from late 1923 to early 1924 reflected the writings of a man who was isolated, preoccupied by "religious-philosophical" issues, and lacked a sense of direction. Diary entries of mid-December 1923 forward show Goebbels was moving towards the völkisch nationalist movement. 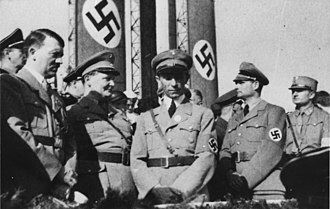 Goebbels first took an interest in Adolf Hitler and Nazism in 1924. In February 1924, Hitler's trial for treason began in the wake of his failed attempt to seize power in the Beer Hall Putsch of November 8–9, 1923. 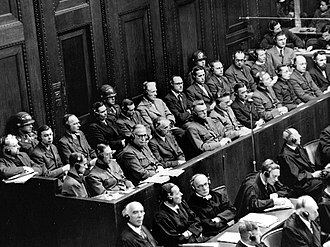 The trial attracted widespread press coverage and gave Hitler a platform for propaganda. Hitler was sentenced to five years prison, but was released on 20 December 1924, after serving just over a year. 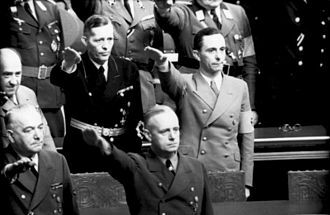 Goebbels was drawn to the NSDAP mostly because of Hitler's charisma and commitment to his beliefs. 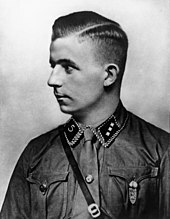 He joined the NSDAP around this time, becoming member number 8762. In late 1924, Goebbels offered his services to Karl Kaufmann, who was Gauleiter (NSDAP district leader) for the Rhine-Ruhr District. Kaufmann put him in touch with Gregor Strasser, a leading Nazi organiser in northern Germany, who hired him to work on their weekly newspaper and to do secretarial work for the regional party offices. He was also put to work as party speaker and representative for Rhineland-Westphalia. 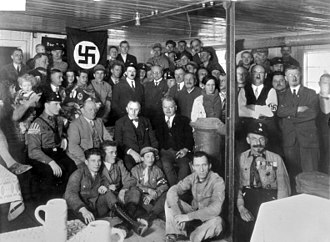 Members of Strasser's northern branch of the NSDAP, including Goebbels, had a more socialist outlook than the rival Hitler group in Munich. 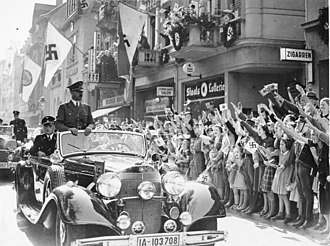 Strasser disagreed with Hitler on many parts of the party platform, and in November 1926 began working on a revision. 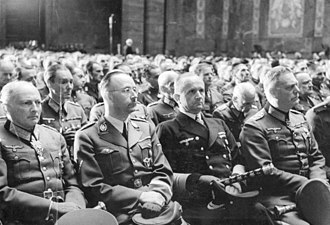 Hitler viewed Strasser's actions as a threat to his authority, and summoned 60 Gauleiters and party leaders, including Goebbels, to a special conference in Bamberg, in Streicher's Gau of Franconia, where he gave a two-hour speech repudiating Strasser's new political programme. 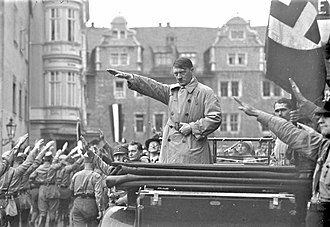 Hitler was opposed to the socialist leanings of the northern wing, stating it would mean "political bolshevization of Germany." 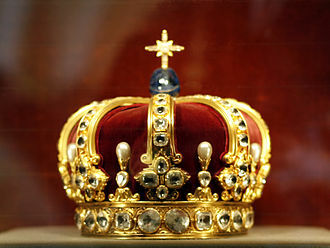 Further, there would be "no princes, only Germans," and a legal system with no "... Jewish system of exploitation ... for plundering of our people." 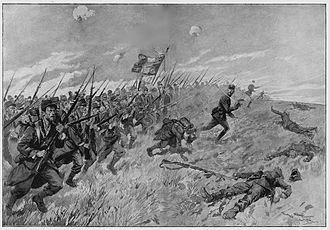 The future would be secured by acquiring land, not through expropriation of the estates of the former nobility, but through colonising territories to the east. 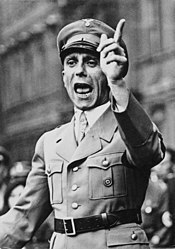 Goebbels was horrified by Hitler's characterisation of socialism as "a Jewish creation" and his assertion that a Nazi government would not expropriate private property. 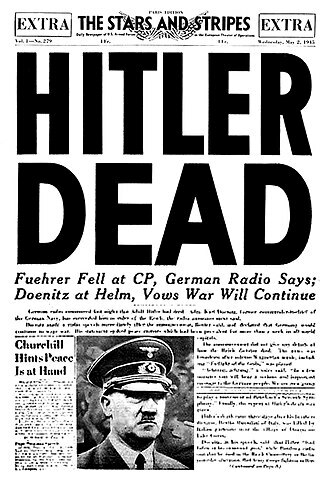 He wrote in his diary: "I no longer fully believe in Hitler. That's the terrible thing: my inner support has been taken away." Johanna Maria Magdalena Magda Goebbels was the wife of Nazi Germanys Propaganda Minister Joseph Goebbels. 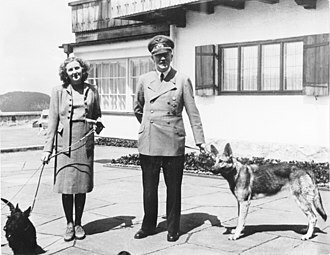 A prominent member of the Nazi Party, she was an ally, companion. 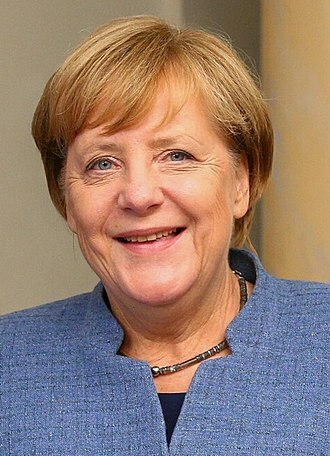 Some historians refer to her as the unofficial First Lady of Nazi Germany, as Berlin was being overrun by the Red Army at the end of World War II in Europe and her husband fatally poisoned their six children in their sleep before they committed suicide. Harald Quandt, her son from a marriage, survived her. Magda was born in 1901 in Berlin, Germany to Auguste Behrend and engineer/Berlin developer Oskar Ritschel, according to historian, the couple were married that year and divorced in 1905. 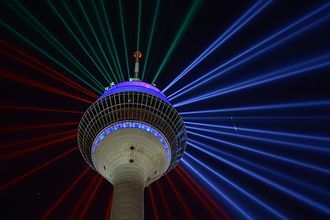 Some sources, including Hans-Otto Meissner, suggest that the marriage took place before her birth, when she was five, her mother sent her to stay with Ritschel in Cologne. 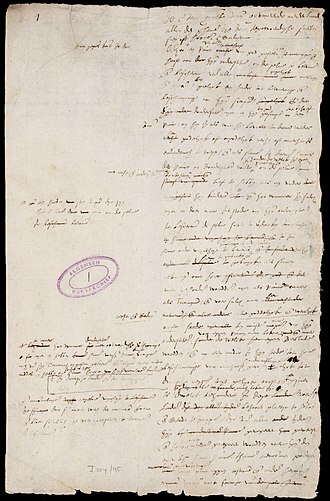 Ritschel took her to Brussels, where she was enrolled at the Ursuline Convent in Vilvoorde, at the convent, she was remembered as an active and intelligent little girl. Her mother Auguste married Jewish businessman and leather-goods magnate Richard Friedländer, in 2016, it has been reported that Friedlander may be Magdas biological father. Friedländers residency card, found in Berlin archives, stated that Magda was his biological daughter, the card was discovered by author Oliver Hilmes. 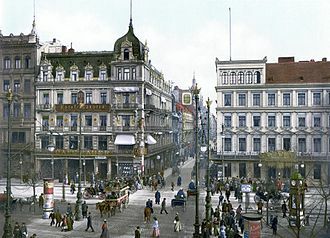 From 1908 until the outbreak of World War I, the family remained in Brussels, at that time, all Germans were forced to leave Belgium as refugees, to avoid repercussions from the Belgians after the German invasion. 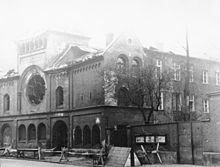 They moved to Berlin where she attended the high school Kolmorgen Lycée, Auguste Behrend divorced the now impoverished Richard Friedländer in 1914. In 1919, Magda was enrolled in the prestigious Holzhausen Ladies College near Goslar, in 1920, while returning to school on a train, she met Günther Quandt, a rich German industrialist twice her age. 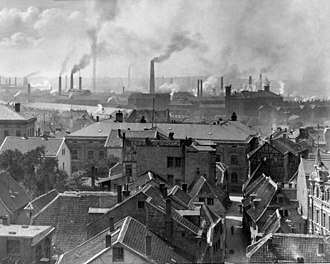 His holdings grew into VARTA batteries among other businesses and he had large shareholdings in BMW and Daimler-Benz. It is claimed that although a physically unremarkable man, Quandt courted her at school by posing as a friend and swept her off her feet with courtesy. 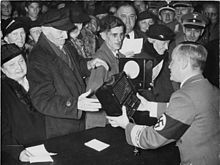 A Gauleiter was the party leader of a regional branch of the NSDAP or the head of a Gau or of a Reichsgau. 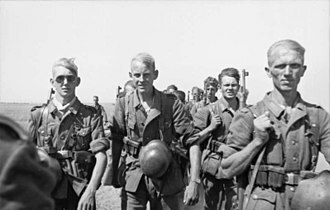 The word can be singular or plural, depending on the context, Gauleiter was the second highest Nazi Party paramilitary rank, subordinate only to the higher rank Reichsleiter and to the position of Führer. 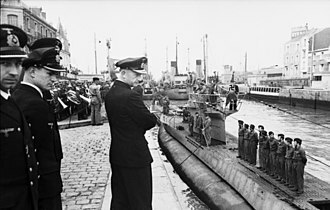 During World War II, the rank of Gauleiter was obtained only by appointment from Adolf Hitler. 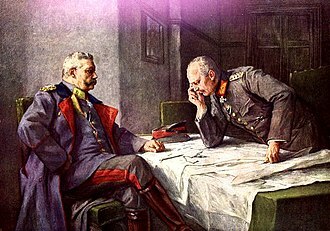 The first use of the term Gauleiter by the Nazi Party was in 1925 after Adolf Hitler refounded the Nazi party following the failed Beer Hall Putsch, the name derives from the German word Gau and Leiter. 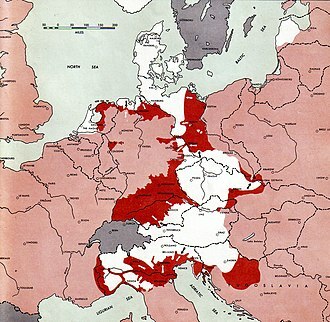 The word Gau is an old term for a region of the German Reich, the Frankish Realm and the Holy Roman Empire were subdivided in Gaue, which corresponds roughly with the english word shire. 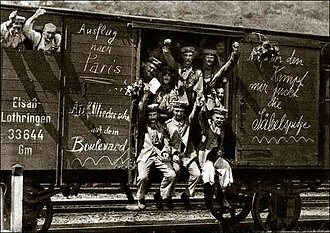 It is still in use today for some regions in Belgium and Switzerland, in the earliest days of the terms existence, Gauleiter were heads of election districts during a time period when the Nazis were attempting to gain political representation in the Weimar Republic. 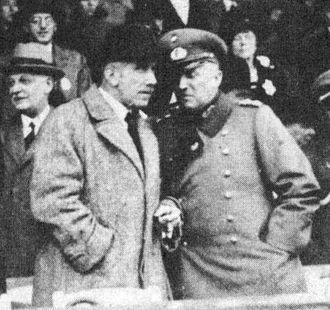 Gauleiter oversaw several politische Leiter who assisted the Nazis with election campaigns, in 1928, a mid-level official known as a Kreisleiter was introduced as an intermediary between the Gauleiter and the Political Leaders. 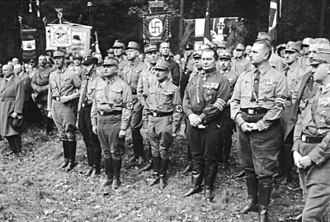 It was at this time that a political uniform was created for the Gauleiter, consisting of a brown Nazi Party shirt. 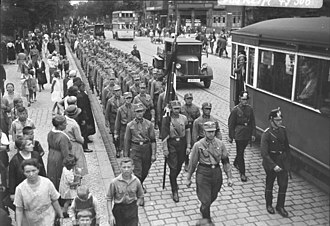 In 1933, when the NSDAP took power and established the state of Nazi Germany, Gauleiter became the second-highest Nazi paramilitary rank, the Gauleiter now became the heads of the Gauleitung — the system of Nazi political regions set up to mirror the German states. 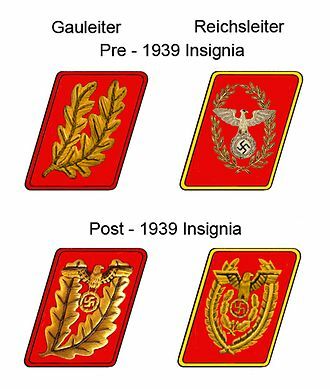 Also at that time Gauleiter adopted the two-leaf collar insignia most often associated with the rank. 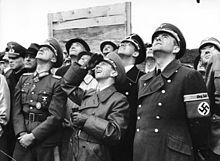 In theory, a Gauleiter merely functioned as a representative of the Nazi Party who served to coordinate regional Nazi Party events, in practice, each Gauleiter had unquestioned authority in his particular area of responsibility. 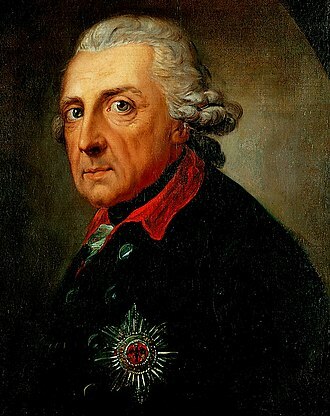 The legal governmental establishment merely existed as a stamp for the Gauleiter. Joseph and Magda's wedding day, with her son Harald Quandt in his Deutsches Jungvolk uniform. 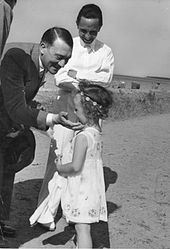 Adolf Hitler, their best man, can be seen in the background. 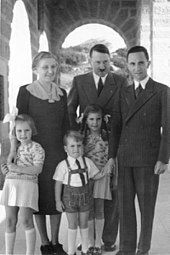 Magda and Joseph Goebbels with their children, Hilde (left), Helmut (center), and Helga (right), visit Hitler on the Obersalzberg, Kehlstein House, 1938. Joseph Goebbels with his daughters, Hilde (center) and Helga (right), at a Christmas celebration in the Saalbau (Hall) Friedrichshain, Berlin, 1937, during the singing of the national anthems.